Love is Not you say, Love is what you do. What happens when opposites meet? When two completely different people find themselves drawn to each other? Can they really find happiness together? Can wheelchair-bound Ritwika find a chord that connects her to national-level athlete Chetan? Will Aditi’s irrepressible cheerfulness restart Jayant’s life, put on indefinite pause since his parents’ death? Does Indu, happily divorced, rediscover her faith in love with the reclusive Lokesh? 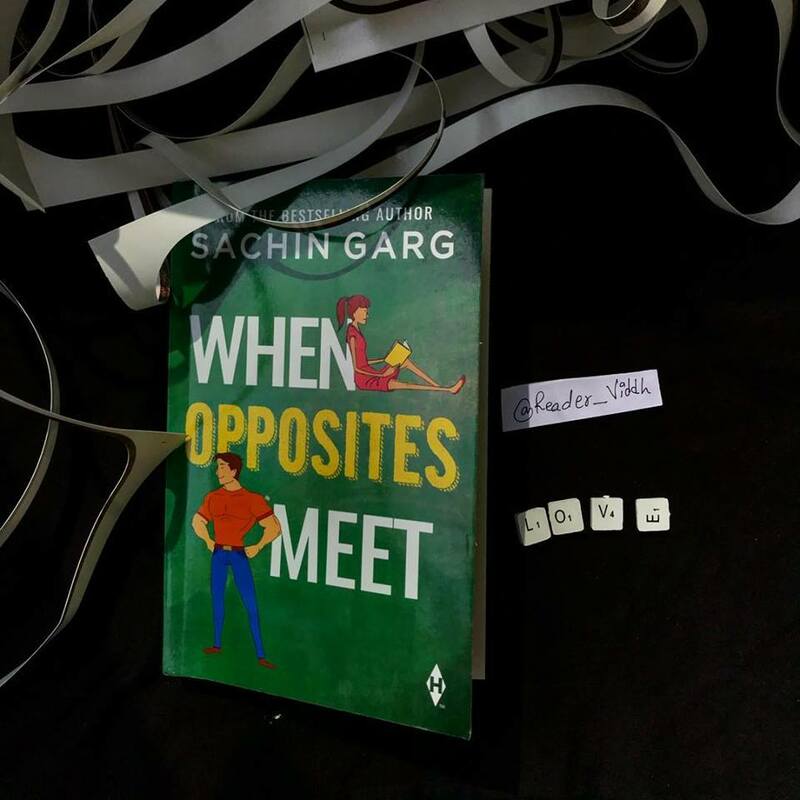 When Opposites Meet is the story of three unlikely couples and the differences between them. It’s the story of love, and the possibility of finding it in the most unlikely of places. First of All, Loved the cover of this book and the title attracted me. This is the story of Indu, Jayant, Ritwika, Aditi, Chetan, and Lokesh. The author plotted story very well where he showed the love of three different generations. Teenage Love, Young Love as well as Old Love. The Plot was very well built, It also explained the power that social media has in today’s world. Apart from that author managed to give importance to each character very well. The pace of the story is also good and the author manages to put surprise element. Though in start the story seems lil off, it grabs the interest of reader as it proceeds. It develops a curiosity to know what will happen next. The characterization and narrating style of the author is something I loved. How he beautifully explained how opposites attract and Love is what you do and not what you say. Whenever I look at the book I feel like yes, this will be an interesting read and indeed it was. The way every character manage to came out of their comfort zone for their Love was awesome. The chemistry of Ritwika and Chetan, Lokesh, and Indu, Jayant and Aditi were superb. The story of three couples, Contrary to each other in three different ways. Physically, Socially and Emotionally Opposites. Will they meet? What will Happen next? were the questions that came to my mind. The story is all about friendship, love, romance, bonding, social media and the Opposites. It’s a sweet story, a light read that melts your heart. If you’re looking for a light romance story! this is it! !